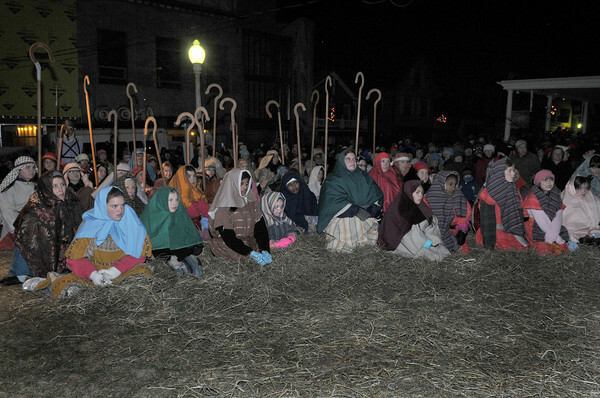 Rockport: Performers dressed as shepherds and on lookers watch the re-enactment of the birth of Christ Saturday night at the 1st Congreational Church for the 64th Annual Christmas Nativity Pageant. Desi Smith Photo/Gloucester Daily Times. December 19,2009.